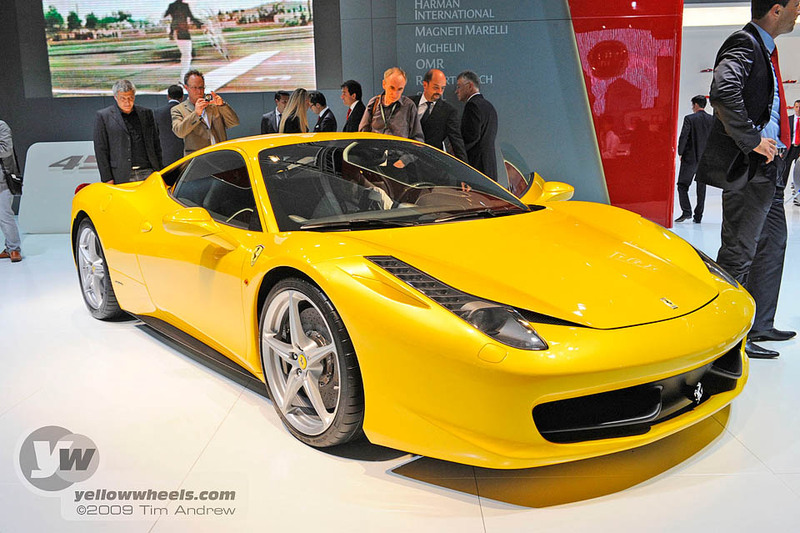 Yellowwheels is live at the 2009 Frankfurt Motor Show. And so is most of the world’s motoring press! So rather than boring you with every conceivable newness, we’ll follow our hearts and bring you the stuff that really makes your palette salivate! Undoubtedly our first day’s scouting and filming, found us gravitating towards Ferrari’s 458. 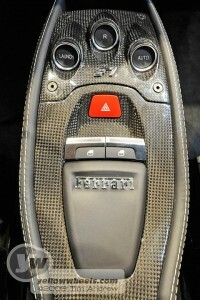 Whilst its not it’s not as spectacular as an Enzo, it’s an important departure from the 430 and 360 that preceded it. The press photos that were circulating all over the web shortly before Frankfurt, left not a lot to be guessed at, but there’s no substitute for seeing a car in the flesh, albeit in the artificial situation of a motor show. In profile the waspish side slices hinted at the proportions of a Zonda, the nose felt slightly Renault like, but the rear was unmistakably Ferrari Enzo, F430. Banks of LED lights run vertically down to projector main beams on the nose. 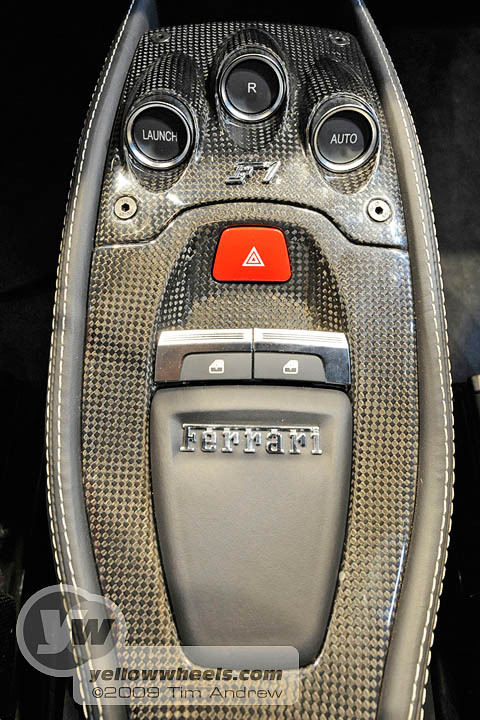 Inside it’s again Enzo/430/F1 evolution, with prominent central rev counter ruling all before you. 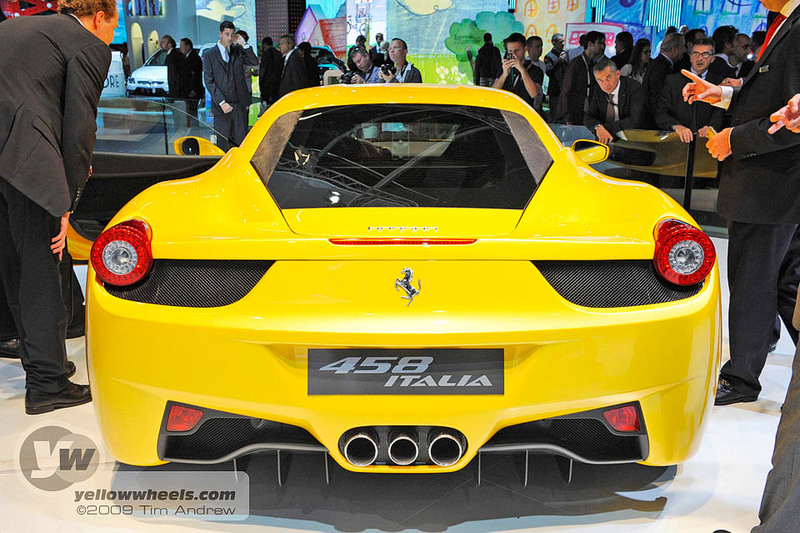 Ferrari 458 quick walkaround from yellowwheels on Vimeo.